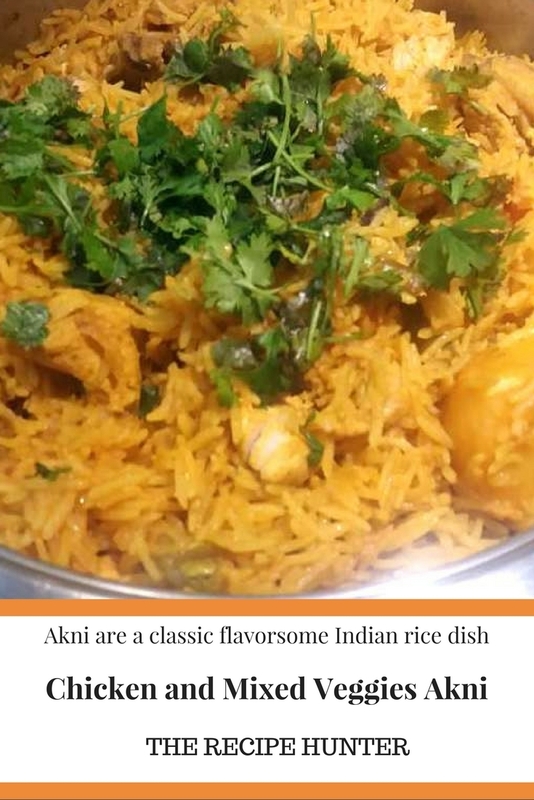 Akni are a classic flavorsome Indian rice dish that you will often find on a Cape Malay table. A few cinnamon sticks, cloves, and allspice. 1½ cup Mcain mixed veggies. Add potatoes, chicken, and buttermilk. When potatoes almost soft add washed and rinsed raw basmati over chicken sauce. Add boil water over it. Add again salt to taste. Let rice simmer on slow heat. When done add 100g butter and simmer until butter melted. Take a long fork and stir well until no more sauce in a pot. Add garnish dhania and serve with atchaar or onion salads and dhay. Interesting. Rice supposed to be good for you too – An added benefit.